Balenciaga has begun flooding its webstore with a variety of new pieces from its Fall/Winter 2018 collection including new clothes, shoes, accessories, and more. Alongside this bevy of releases is the Parisian brand’s new Campaign Supermarket Tote in a unique 50/50, front/back color split. 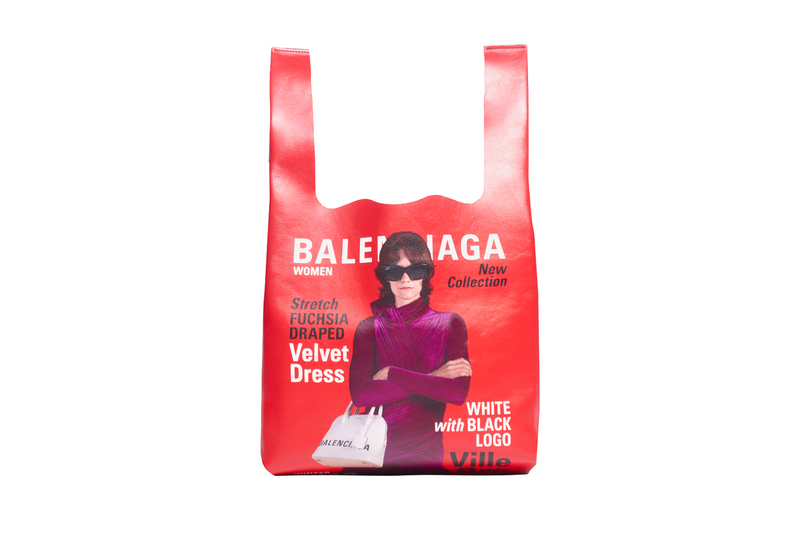 Arriving in calfskin leather, the unique piece employs magazine cover-like imagery on both sides of the bag in either red or blue. Demna Gvasalia isn’t playing around, taking brand marketing to the max by infusing the near lookbook resemblance on the tote that further underlines the various pieces each model is wearing. Rounding out the open tote accessory, the liner-less bag also includes a pouch inside for your keys, wallet and cash. The unique made in Italy piece is currently available via Balenciaga’s web store with a retail price of $1,790 USD, and over at select retailers like SSENSE. For more related news, check out Virgil Abloh and Evian’s collaborative launch party. Offered in two distinct colorways.